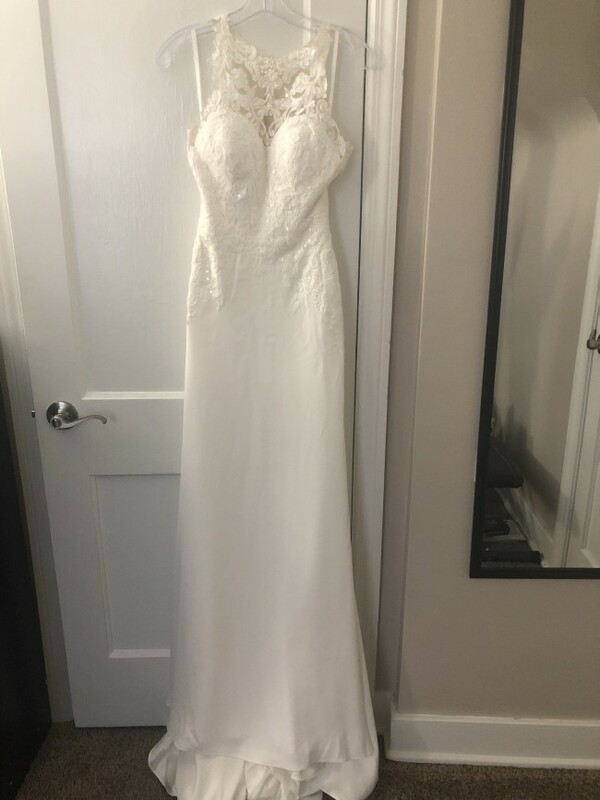 Brand new wedding dress that has never been worn, it is in a non-smoking household and only taken out of the bag to take these pictures. I bought it but ended up going with a different dress so I currently have two dresses and would love for someone to put this beautiful dress to great use! I am asking for $900, or best offer! Once you send a message, Kasidy can invite you to purchase the dress.